Jess, aged 14, writes: Some of my earliest memories come from our family’s trips to Playa Blanca, a seaside resort on the south of Lanzarote. Our family generally visited every other year along with my Grandma and Grandpa, and having not been for four years, I was ridiculously excited to go back last month. Our family stayed for a week and had a relaxing, enjoyable, and exciting time. It really is a great place for a family holiday. Our family stayed in a bungalow at Las Casitas resort, where we had stayed every time we’ve been to Lanzarote. There’s something so special about going back to a place with so many memories attached to it, and it was just as good as I remembered it. The villas are spacious and full of everything we needed, and I preferred the beds to my one at home! The complex includes a tennis court, a pool, and a bar, and everyone we met was lovely. The atmosphere at the quiz night was astonishingly friendly and we talked to lots of people we didn’t know afterwards. The WiFi was also pleasingly reliable, although we didn’t have to use it much. Las Casitas is in such a perfect and accessible location that we spent most of our time away from the villa. At Papagayo. The waves were massive! We visited two different beaches in Playa Blanca, and both were lovely. The main Playa Blanca beach is situated directly in front of the promenade, but it’s quite small, so we walked past this to Playa Papagayo, which is large and full of deck chairs. The view of nearby Fuerteventura was also beautiful to see. Mum and dad soaked up the sun and lounged on deck chairs, while Robert and I went to the sea. The wind meant that the beach was quiet and the waves were large, but I enjoyed swimming and jumping through them. Playa Flamingo is much busier than Papagayo, but the water was clear and perfect for swimming in. Dad and I also saw fish swimming around our feet! Robert says: Dad and I went to AquaLava, an awesome waterpark near our resort. It had 5 great waterslides, a heated lazy river and a big area for little kids full of small slides and fountains. There was also a wave pool that started up every hour. We had lots of fun on our walks, discovering castles, lighthouses, old buildings, geocaches, carousels, and more. Enjoying home made ice cream from Gelateria Italiana Verderosa. We were spoiled for choice for food, as Playa Blanca is full of places to eat. We particularly enjoyed the home-made ice cream at Gelateria Italiana Verderosa, and the ridiculously sugary slushies and milkshakes at Good Times. The Canarian potatoes (salty potatoes with two sauces) at La Bahia were the best we had all holiday and I particularly liked eating at Caribe by the marina, where my tuna crêpe was delicious. Playa Blanca is very convenient for shopping – among the numerous restaurants, there are three supermarkets, clothes shops, and a few very touristy shops, which we avoided. We delighted in finding a playground we remember visiting when we were younger. There are lots of other things to do in Playa Blanca. I was very excited when we found a playground that I remember visiting when I was much younger. There are also lots of other things to do on the island with children, such as going to the cactus garden, looking at volcanoes, the animal park Ranco Texas, and visiting César Manrique (an influential architect)’s house. Mum has written a proper guide to the island, so please read it here. I had so much fun in Playa Blanca when I was small, and it’s lovely to know that it’s as great as I remembered. There’s a lot to do for children and adults alike, and while it’s more touristy than I thought it was, I had such a great time. It’s such a wonderful place for families to visit and I would love to go again. You can find out more about holiday rentals at Las Casitas via their website – prices vary throughout the year. We flew with Thomas Cook from Gatwick to Arrecife, which is about 40 minutes away from the resort by taxi. Sounds wonderful. You have really put it on the list for this year. Thinking half term or December. You won’t regret it and the kids will love it…. It’s great that you’ve been able to go so regularly, and make all these memories. The food sounds delicious – proper holiday treats! This is very interesting! My family always look for places to go once a month and I think this is perfect during summer time too! Thank you for this post! So sweet that you can return to a childhood favorite vacation destination with your own family. That is what life and travel are all about. You are creating powerful memories for others. Those family adventures offer some of the best memories for years to come. You will be talking about this destination forever and ever. There’s something to be said about riding a teeter totter, as well. Yes, Princess Yaiza is very near where we stayed and very lovely! Some of my friends have been on this island and they loved it. I heard so many great stories. I´m really eager to see it by myself. Looks lovely! I also love to find a holiday favourite and return again and again – you always find something new each visit. The ice-cream sound amazing too! Memories and family traditions like this make such a difference. Playa Blanca sounds really special. I was not familiar with this place before, but am glad to learn about it! 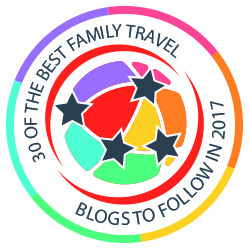 I love Lanzarote too – I enjoyed reading this via BritMums Spain family travel round up. It looks like you had a brilliant time – Lanzarote is under rated in my opinion – its a fab place for a family holiday. I’m glad to find another fan! Lanzarote is one of my favourite places to go for a family holiday and especially Playa Blanca. We stayed at Villa Natalia which has a special deal where kids go free and it is literally 1 minute away from the superb aqua park and 5 minutes from the best kid friendly beach on the island.